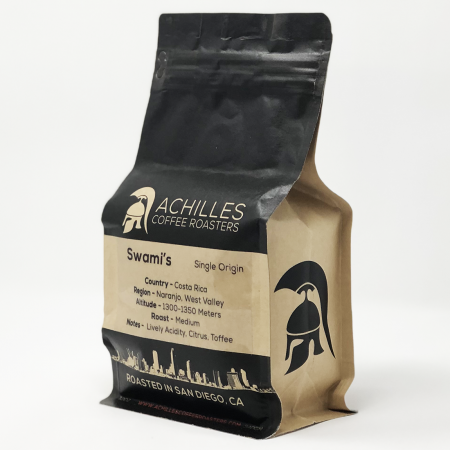 Achilles Coffee is a specialty coffee roaster located in San Diego California. 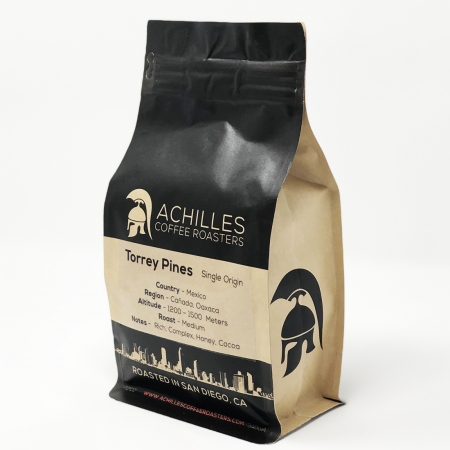 We continually explore the world for new coffees to roast and share with our customers. 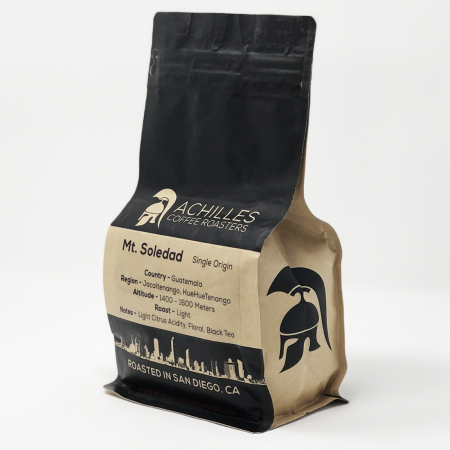 It is our mission to create long term and sustainable relationships with coffee producers around the globe. 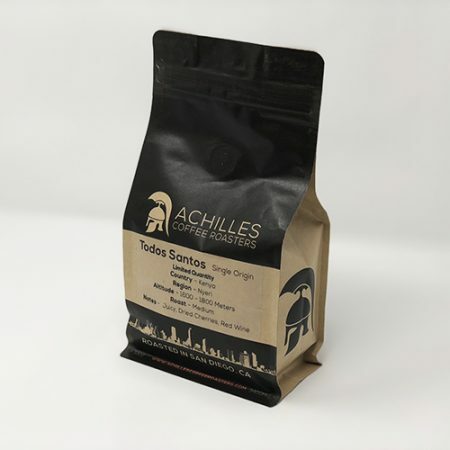 We source a variety of Organic, Free Trade, and Rain Forest Alliance (RFA) coffee beans mostly from small farms and co-ops. It is our goal to trace every dollar we spend back to the farmers. This ensures a sustainable supply chain where producers get a majority of the dollars we spend on raw green coffee beans. Why is this important? We believe farmers should earn a living wage and have the capital resources to reinvest in their farms, their community and most importantly their families. 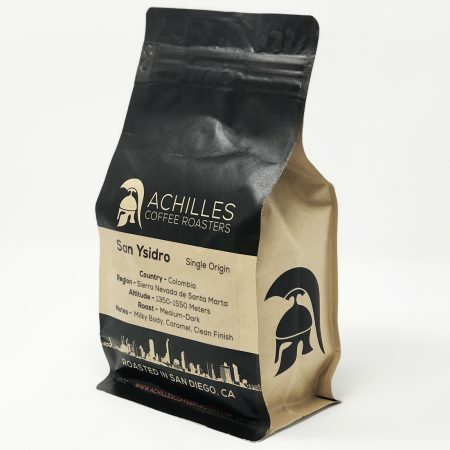 When producers thrive we all win and enjoy higher quality specialty coffee. 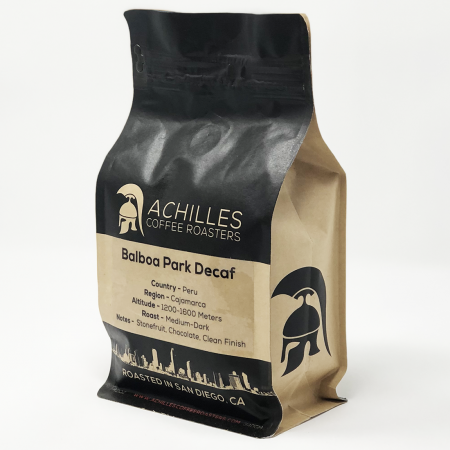 We roast all of our coffee in small batches in Downtown San Diego. 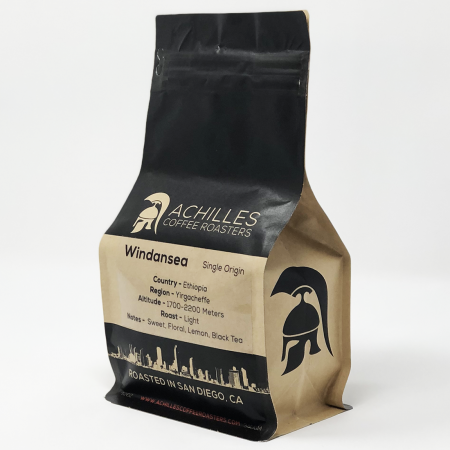 Our customers have diverse tastes so we offer a variety of roasts. 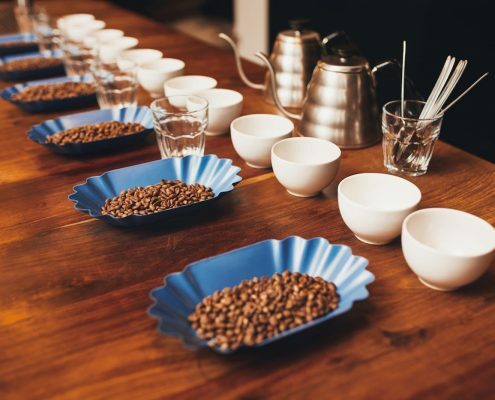 Every coffee is unique and behaves differently in the roasting process. 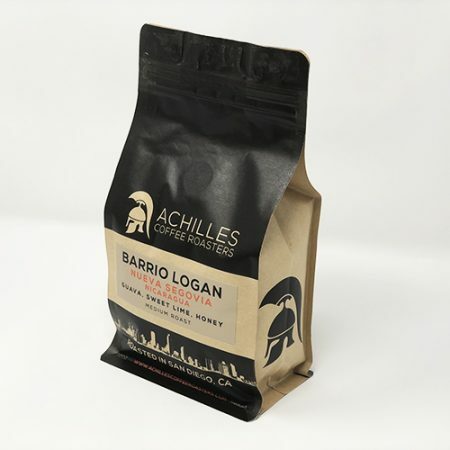 Some origins really shine in a light roast while others, Costa Rican Coffee Beans for example, in a medium roast allows the citrus and toffee notes the opportunity to develop more fully. The majority of the world’s coffee is grown in The Bean Belt. The horizontal equatorial strip around the glove between the Tropic of Cancer and The Tropic of Capricorn. There are anomalies. For example, legend has it there is a coffee tree with cherries in the North Park neighborhood of San Diego. For our purposes, all the coffee we source comes from the equatorial region around the globe. The Bean Belt hosts the ideal climate for coffee to grow, after all is is a very fickle plant. It requires a very specific climate and the bean belt hosts a tropical climate with both rainy and dry seasons.